Nordson YESTECH’s advanced megapixel technology offers high-speed device inspection with exceptional defect coverage. With high resolution and telecentric optics, M1m inspects bond wires, die placement, SMT components and substrates, all within a footprint less than 1 sq. meter. The M1m can be put in-line with your wire bonders or off-line to support several bonders. A magazine loader/unloader is available for off-line operations. Programming the M1m is fast and intuitive. With CAD data input, a complete recipe can be completed in less than 1 hour*. The offline programming option allows the engineer to create complete recipes at any remote location, without affecting production. 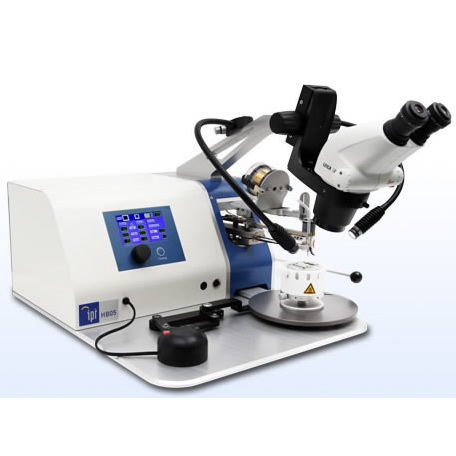 The M1m utilizes several image processing algorithms to perform a multitude of inspections historically performed manually by operators using eyepiece microscopes. Real-time color, normalized gray scale correlation, pattern matching and binary “blob” analysis are just a few of the tools used to automate the process. Nordson YESTECH’s M1m also provides you with SPC data, defect reports, offline defect classification, offline rework capability and even archived images of every device you inspect. In addition, Nordson YESTECH also provides free software upgrades for the life of the system. Throughput: 75-125 sq. mm / sec.